Ali Eslami called in the small blind and Phil Ivey checked in the big blind. The flop was and both players checked. The turn was the and Eslami checked for a second time. Ivey bet 80,000 and Eslami mucked his hand. Then Phil Ivey called in the small blind and Andy Frankenberger checked in the big. The flop was and both players checked. On fourth street we saw the and once again both players checked. The river card was the and Ivey check-called a 155,000 Frankenberger bet. Frankenberger turned over for trip jacks and Ivey mucked. 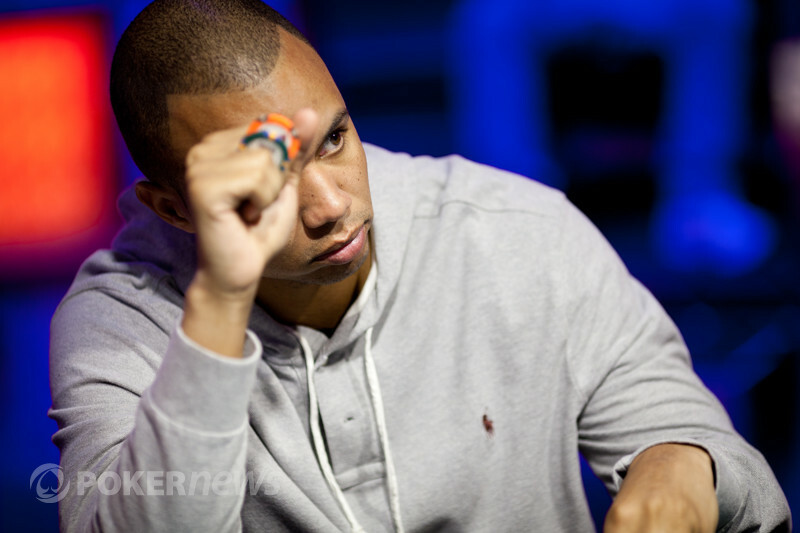 Phil Ivey raised to 120,000 from under the gun and Andy Frankenberger took one in position. The flop was , Ivey checked, Frankenberger bet 150,000 and Ivey folded. Andy Frankenberger raised to 120,000 in the cutoff and Phil Ivey defended his big blind. The flop was , Ivey checked, Frankenberger bet 120,000 and Ivey check-raised to 360,000. Frankenberger checked his cards reached into his stack and pulled out a chunk of change before laying both palms face down. A few seconds later and Frankenberger's hand went into the muck. Manuel Bevand has had a great competition but his crucial loss against Frankenberger left him with just 45,000 from his position in the big blind. The action folded around to Phil Ivey who paid the 20,000 extra and we had a showdown. The board stayed clean for Ivey and he eliminated the overnight chip leader Manuel Bevand. There are now just three players in between Phil Ivey and his 9th bracelet. Manuel Bevand opened the action with a raise under the gun, and it would be a bad thing in the end. Andy Frankenberger potted in the next seat over, and the two men got it all in right there. Frankenberger was the one at risk for 730,000, and Bevand had that just barely covered. The biggest pot of the tournament and the fate of the two men came down to a coin flip. The tension was almost tangible, and we could feel Frankenberger's heart sink as the dealer rolled out a flop full of blanks: . "Yes!" Frankenberger yelled as he clapped his hands together. Fourth street was his money card, and he was suddenly in a huge lead with one to come. Only a two-out jack could spoil the party. The river was a blank, though, the . Frankenberger has found his monster double, and he's certainly a force to be reckoned with now. Pink pants and all. Bevand is left short with just 45,000 chips now. Manuel Bevand raised to 120,000 in the cutoff and Ali Eslami defended from the big. 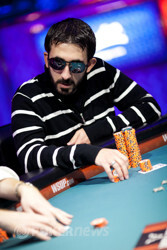 The flop was and Eslami took the pot away from Bevand with a successful lead for 125,000. Manuel Bevand opened to 120,000 under the gun, and Alex Venovski wanted to play for more. He three-bet to 400,000 from the button, and Bevand tank-folded. Ali Eslami raised in first position, Manuel Bevand called on the button and Andy Frankenberger squeezed from the small blind for 300,000. Eslami made the call, Bevand folded and we headed to the flop with Frankenberger only having 5,000 behind. Frankenberger puts the last 5,000 into the middle and Eslami called. The turn and river not helping Eslami and Frankenberger doubled up. Manuel Bevand raised to 120,000 under the gun, and both Alex Venovski (button) and Phil Ivey (big blind) joined him in the pot. It was the first three-way flop of the after-dinner session. The dealer spread out , and Ivey was first to act. And he was betting. He stuck 200,000 out there, and Bevand and Venovski wasted no time folding in turn. It might just be us, but it seems like Ivey is really hitting his groove here in five-handed play. He's just crossed the 2-million chip mark, holding almost 40% of what's in play with five left. 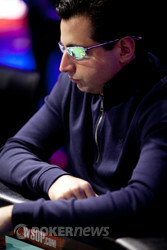 The action folded around the Alexander Venovski in the small blind who raised to 140,000. Ali Eslami was seated in the big blind and he asked for a stack count before making the call. Venovski made a 100,000 c-bet and Eslami's hand went into the muck. These ones are approximate, but they were delivered to us verbally by none other than "RedBull" Robbie Thompson. The man can count, so we'll go with them until we get some hard counts ourselves. 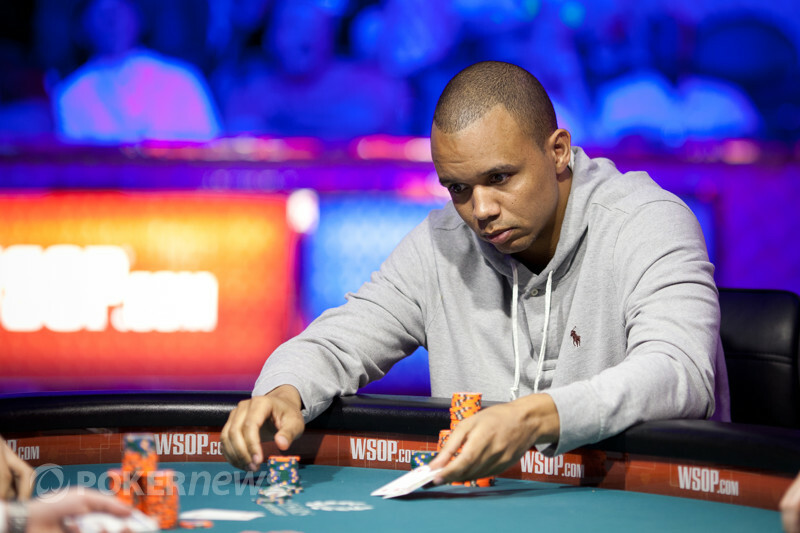 One orbit later, Phil Ivey made his standard 120,000-chip under-the-gun raise. The table once again folded around to Ali Eslami's big blind. This time, though, he decided to just save the 70,000 chips and the pain of check-folding on the flop. He ditched his big blind, and that's another one passed to Ivey. He's got about 1.7 million chips now. Phil Ivey raised to 120,000 on the button and Andy Frankenberger defended his big blind. The flop was and Ivey took down the pot with a 120,000 c-bet. The action then folded around to Andy Frankenberger in the small blind who raised to 125,000, Alexander Venovski popped it up to 300,000, Frankenberger moved all-in and Venovski called. So a split pot was likely unless a few diamonds arrived on the board. The flop brought one , then the turn brought another . So a sweat for Frankenberger until the arrived on the river and the spoils were shared. Phil Ivey did indeed re-take the chip lead with that last pot. Phil Ivey made the call from the small blind and Manuel Bevand checked in the big blind. The flop was and Ivey bet 60,000 to win the pot. Phil Ivey made it 120,000 on the button and Manuel Bevand raised to 300,000 from the small blind. Andy Frankenberger folded in the big blind and Ivey thought for a good few minutes before raising 'pot' for a bet of 960,000. Back to Bevand and he mucked his hand. The action has been very passive in the first 15 minutes of the new level. The average stack is starting to get a little thin, and each decision is becoming more meaningful at this point. We've seen one pot checked down to the river, another one checked through the river, and plenty of raise-and-takes. The last hand stuck out only because it was a copy of the action we saw on the first hand of the level. 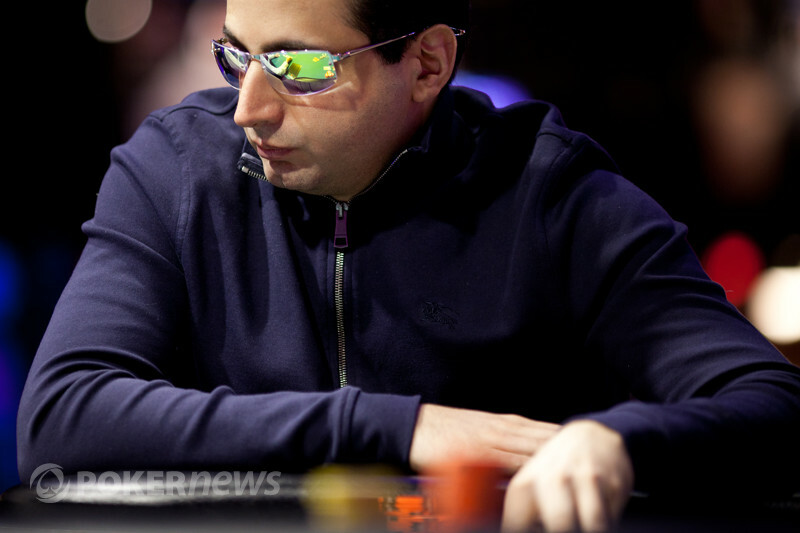 Ivey was under the gun and raised to 120,000, and Ali Eslami defended his big blind. Ivey bet another 120,000 on the , and Eslami quickly check-folded. There was a dead small blind for the first hand back from dinner, and Phil Ivey began it with an under-the-gun raise to 120,000. Ali Eslami defended his naked big blind, and off they went. The paired flop brought them . Ivey bet another 120,000, and Eslami check-folded without much trouble. Ivey went ahead and stole the blinds when the button came around to him, too. Things have started off just a bit tighter in the first few hands back. Our finalists are back in their seats, RedBull Robbie is back on the mic, and the cards are in the air. We'll crown a new pot-limit hold'em champion tonight.